1 How Do I Properly Freeze a Fresh Tomato for Future Use? An abundance of green tomatoes gives you the opportunity to preserve some in the freezer for later. Green tomatoes don't have the full flavor or softer texture of the riper red ones, but the firmer fruits are well-suited for breading and frying. Green tomatoes are also sometimes used in salsa, relishes and roast vegetable dishes. Proper freezing makes it a snap to use the tomatoes later while preserving their optimum summer flavor. As with any other vegetable you plan to freeze, choose perfect, blemish-free tomatoes wherever possible. 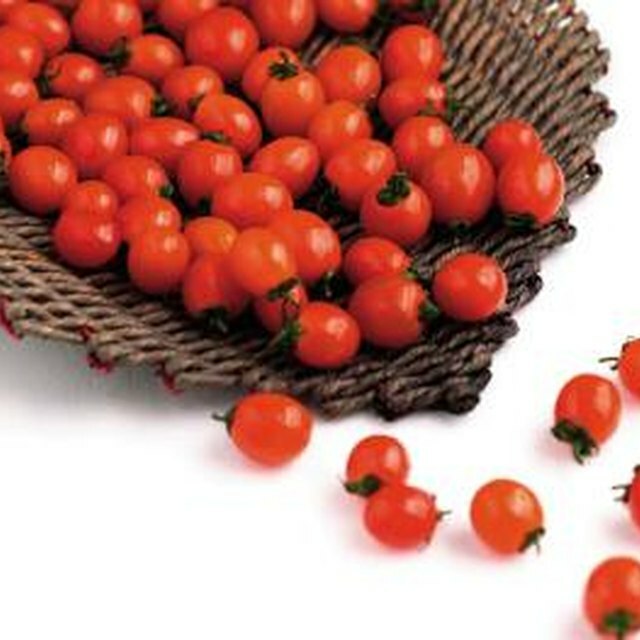 Look for full-sized, well-rounded specimens: Undersized tomatoes might not be fully developed, and those can have bitter, astringent flavors. If you're buying your tomatoes at a farmer's market or specialty produce outlet, watch out for varieties that are fully ripe when green. Perfectly ripe tomatoes are wonderful in their own right, but despite their color they won't work well in recipes calling for green tomatoes. Wash the tomatoes under cool, running water and rub off any dirt with your fingertips. Cut out the stem scar on top of each tomato, using the tip of a paring knife. Line a cookie sheet with wax paper. Lay the tomato slices in a single layer on the wax paper, arranging them so they aren't touching. Place the sheet of tomatoes in the freezer and freeze them for about two hours, or until they are frozen solid. Transfer the frozen tomatoes to an airtight freezer storage container or bag. Label the container with the contents and the date frozen before placing it back in the freezer. You can add frozen tomatoes directly to a dish as it's cooking, or you can thaw the tomatoes in the refrigerator for four hours before using them. Fried tomatoes cook more evenly if they are partially thawed first. Instead of freezing the tomatoes on a cookie sheet first, you can pack them in a container with small squares of wax paper between each slice. The paper prevents the frozen tomatoes from sticking together.